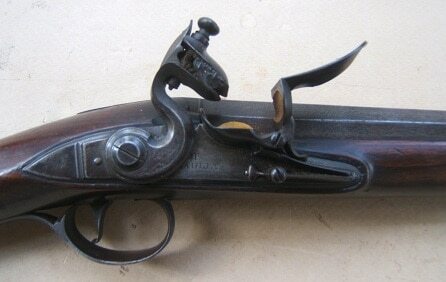 This is an example of a British Flintlock Blunderbuss. This piece is made of wood and brass, and measures around 40″. The smoothbore blunderbuss was used as a weapon against boarding attackers on ships. 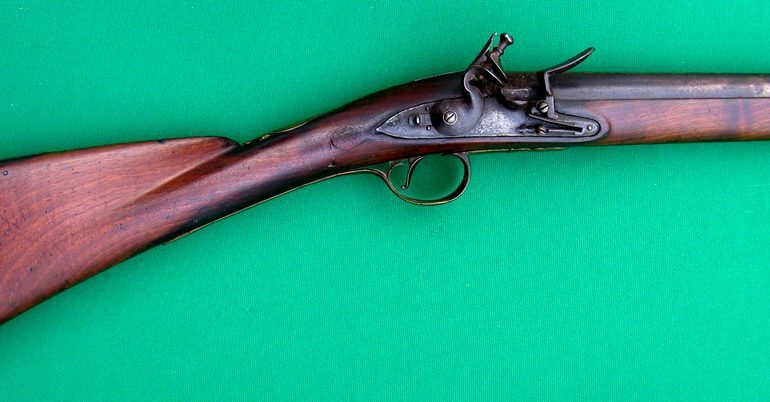 Intended for short range use, it was packed with a large powder charge and whatever shot, nails, or shrapnel was available, then shot as one would a standard musket. For source and more details, click here.